New Price!! Come take a look! 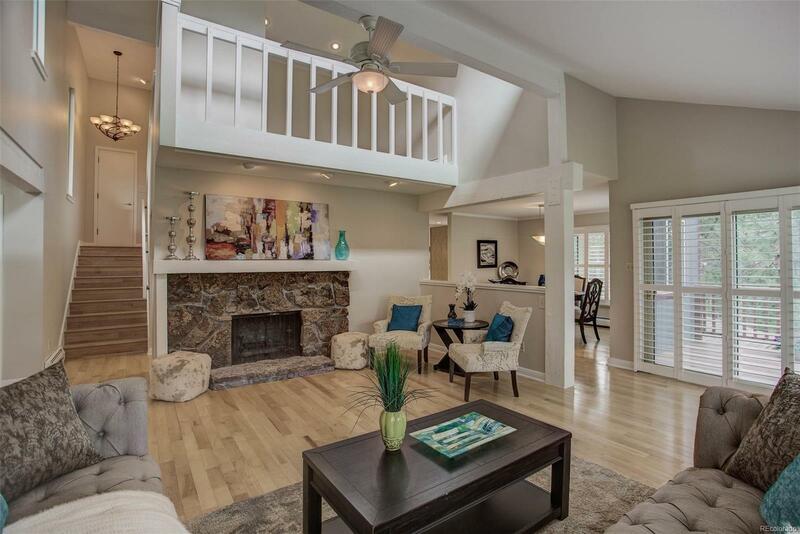 Refreshing light-filled Mtn Contemporary home in the highly desirable Hiwan Country Club in N Evergreen. This lovely 3057 sq ft, 3 bed, 3 bath home with attached oversize 2 car garage has all the features HGTV fans will appreciate. Vaulted Ceilings, triple pane windows, plantation shutters, freshly painted neutral walls, white wood trim, & natural stone wood burning fireplace. The updated kitchen with slab granite, SS appliances and maple cabinetry will delight any cook. The adjacent dining room / wood deck provides great entertaining options. The upper level includes a loft, two bedrooms, full bath, & a serene Master Suite with bay window, 3/4 master bath with large shower & walk in closet. The newly carpeted basement has ample space for a rec room/office/studio or workout room. Don't miss the dog/cat run. Enjoy close proximity to local amenities & an easy Denver commute.